Scientists decode genome of Earth's largest predatory fish, a knowledge they say could help combat cancers and age-related diseases in humans. The great white shark, one of the most fearsome predators in the world's oceans in both fact and fiction, is a formidable creature –– right down to its genes. Scientists on Monday said they have decoded the genome of Earth's largest predatory fish, detecting numerous genetic traits that help explain its remarkable evolutionary success, including molecular adaptations to enhance wound healing as well as genomic stability such as DNA repair and DNA damage tolerance. 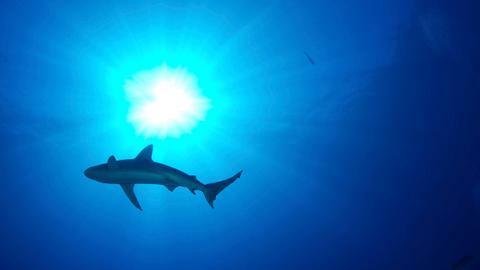 "This knowledge, in addition to providing understanding into how sharks work at their most fundamental level – their genes – may also be useful in downstream applications to human medicine to combat cancers and age-related diseases that result from genome instability," said Mahmood Shivji, director of the Save Our Seas Foundation Shark Research Center and Guy Harvey Research Institute at Nova Southeastern University in Florida. This species, star of the 1975 Hollywood blockbuster "Jaws" and its multiple sequels, roams the world's oceans, primarily in cool coastal waters. Gray with a white underbelly and torpedo-shaped body, it can reach 6 metres long, weigh 3.18 tonnes and dive to nearly 1,200 metres deep. It uses its mouthful of large, serrated teeth to rip into prey including fish, seals, and dolphins, swallowing mouth-sized chunks of flesh whole. "These adaptations and enrichment of essential wound-healing genes may underlie the ability of sharks to heal from wounds so efficiently," said Cornell University's Michael Stanhope, co-leader of the research published in the Proceedings of the National Academy of Sciences.